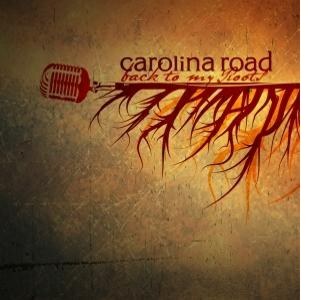 It's been about four or five years since I reviewed Carolina Road's two album releases on Tom T. Hall's Blue Circle Records label. I found the hardworking band from North Carolina to be fully dedicated to presenting a traditional bluegrass sound with a copious amount of personalized contemporary charisma. Now associated with Rural Rhythm Records, this is the band's second release on that label. 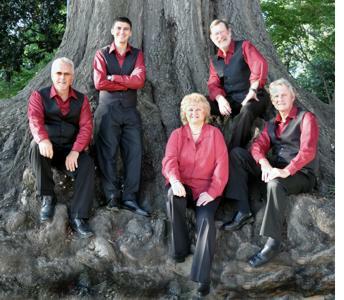 While the band has experienced a few personnel changes on guitar and bass over the years, the stability in this group are still Lorraine Jordan (mandolin, vocals), Josh Goforth (fiddle, vocals), and Ben Greene (banjo, vocals). They bring strength and solidity to the table. The band's newest members are Tommy Long (guitar, lead vocals) and Eddie Biggerstaff (bass). Both have plenty of experience and fit right in. 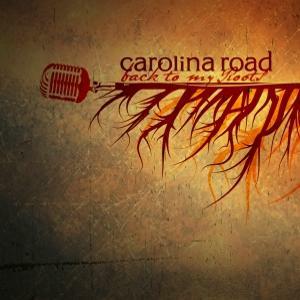 Carolina Road will celebrate the release of their new album Back to My Roots at their Homecoming Bluegrass Festival November 11-12, 2011 in Burlington, NC. The North Carolina natives will have an impromptu album release party after a very special performance Saturday during the festival. The band will play all new tunes from their second album with Rural Rhythm Records and will be joined by special guests Marty Raybon, Don Rigsby, A.L. Wood and honored members of Lorraine Jordan's Daughters of Bluegrass. Festival-goers will receive a special prizes with their purchase of the new Back to My Roots album at the festival.